Michelle is the recipient of the 2018 Marystina Santiestevan First Book Prize, chosen by Bob Hicok. Her book, Animul/Flame, will be published by Conduit Books & Ephemera in March 2019. She is also the author of two chapbooks, The Desire Line (Moon Pie Press, 2006), and Who Will Be Frenchy? (dancing girl press, 2016). Her poetry has appeared in many journals, including Bennington Review, Indiana Review, Spoon River Poetry Review, and Denver Quarterly, and her reviews and essays have appeared in Gettysburg Review, Electric Lit, and Rain Taxi among others. She is a contributing writer for Anomaly. She earned her M.F.A. from the Stonecoast Creative Writing Program. She lives in Maine. Animul/Flame is a wound. A landscape. A lineage. A radiance. A revised taxonomy assembled from the marrow-ash of time and sorrow, cataloging the violences of childhood, of men. We have our grief and our blood, Lewis writes. Why this voice beyond what we can vessel? Look past the broken air. This extraordinary debut is the voice we’ve been afraid to hear. She survives the ruin, the night, and we survive through her. This is the book that wouldn’t let go of me. I’d return to it intending to read a part and find I couldn’t divide it from itself, that I had to finish each time. While the poems connect and speak to each other, they serve less to tell a story than enact a life, to move through violence and menace and mystery in a search for a language of survival, a way of touching memories and events without succumbing to them again. […] This is a book that devours. 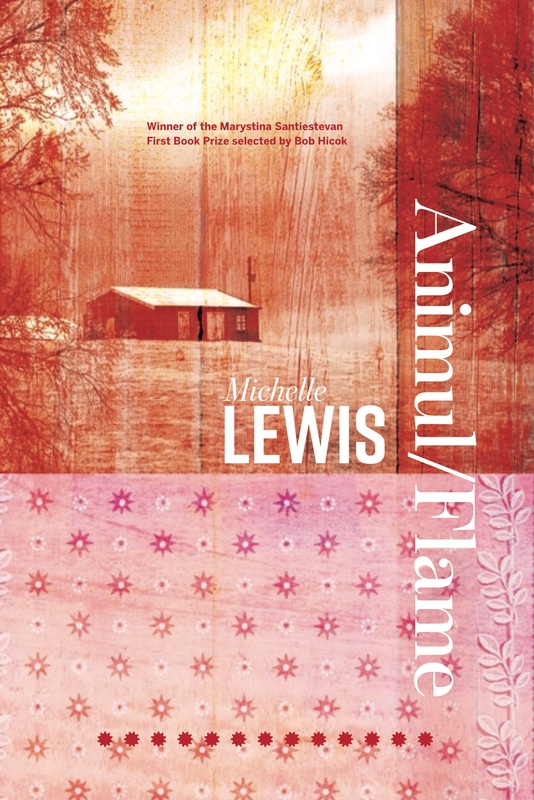 Michelle Lewis writes with a candor and urgency that recalls the poems of the late great Jack Gilbert. These commanding poems manage to be both straightforward and associative in their grapples. Take the words you saved and put them here, Lewis writes in lyrical instructions, songs and meditations. Animul/Flame is charged by an emotional integrity that yields exacting bite and insight. This is a marvelous debut.